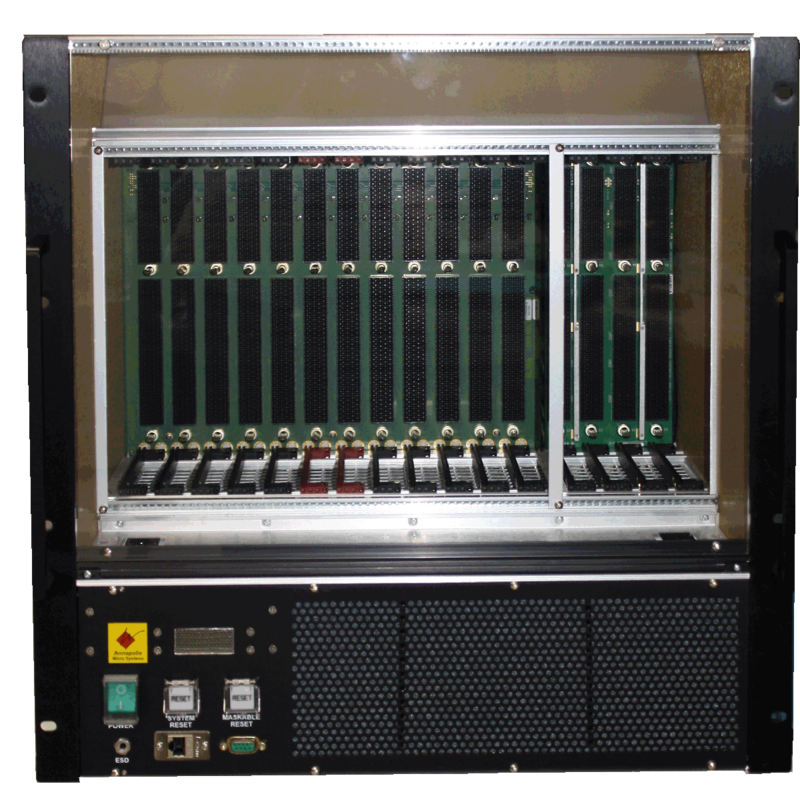 The Wild40™ 12-Slot OpenVPX 6U Chassis is an OpenVPX-compatible (VITA 65) chassis capable of accepting up to ten 6U tall by 160mm OpenVPX Payload Front Plug-in Modules (FPMs) and two 6U tall by 160mm OpenVPX Switch FPMs and up to twelve 6U tall by 80mm Rear Transition Modules (RTMs) in its Primary Backplane. Plug-in Module slot spacing is 1″ VITA 48.1. 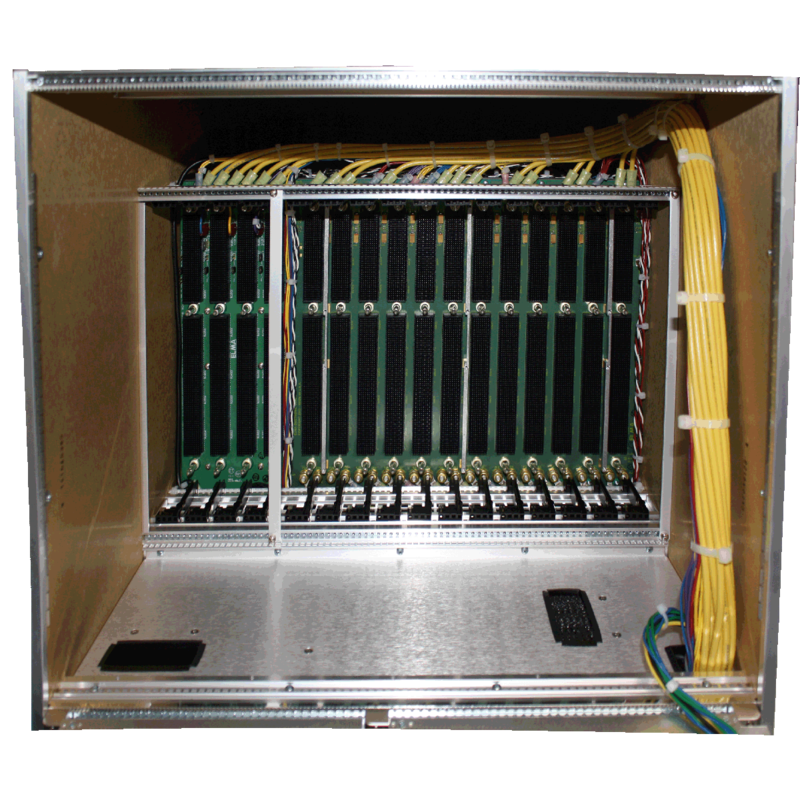 The Wild40 12-Slot OpenVPX 6U Chassis’ Primary Backplane is a very high performance backplane which is capable of Serial I/O signaling at rates up to 10Gbps on the Data Plane and up to 8Gbps on the Expansion Plane. The Data Plane of the backplane is arranged in a dual-star configuration with two Fat Pipe connections from each Switch Slot to each Payload Slot. The Expansion Plane is a chain connecting adjacent Payload Slots.